Clarence E. Sweet of Otsego, passed away Monday, December 30, 2013 at the Dussia House in Otsego. He was born April 29,1922 in Kewadin, MI, to Joel and Jennie (Osborne) Sweet. During WWII Clarence served his country in the U.S. Army and had earned a bronze star for his service. Upon his discharge he worked at Mac Sim Bar, Span Brass and had spent more than 30 years at Allied Paper in Kalamazoo until his retirement in 1985. In his leisure time he enjoyed bicycling, riding 15 miles daily until he was 80, camping in the UP and he had a cabin up north where he enjoyed deer hunting . On October 10,1944 he married Alice L. Prolo together they enjoyed spending winters in Florida until her passing in 2003. Also preceding him in death are his parents and two daughters-in-law Gail and Lucy. Surviving are his children, Edwin Sweet of Allegan, Wanita (Rich) Johnson of Kalamazoo, Chuck (Kristy) Sweet of Gobles, Alvin (Nada) Sweet and Norman Sweet both of Otsego; 14 grandchildren; many great and great-great grandchildren, and several nieces and nephews. Friends may meet with his family Friday, January 3, 2014 from 6-8 pm at the Winkel Funeral Home Otsego, where a funeral service will be held Saturday, January 4, 2014, at 11:00 AM with celebrant Bill Rose officiating. Burial will follow at Mt. Home Cemetery with military honors by VFW Post#3030. Contributions in memory of Clarence may be made to Grace Hospice. Catherine E. Fales of Gobles, passed away December 31, 2013 at Bronson Hospital in Kalamazoo. She was born February 5, 1943 in Kalamazoo to Daniel and Barbara (Drake) Bromley. Cathy graduated from Gull Lake High School and attended Michigan State University where she received a Bachelor of Arts Degree in Education. She was a teacher for 2 years at Glerum Elementary School in Holland, MI, and then worked several years as a personnel assistant at FMB Bank until her retirement in 1998. Cathy loved being at home with her family, collecting recipes, baking cookies, crafts, flower gardening, and watching birds. On April 9, 1966 she married Leon Fales who survives, they re-married on May 25, 1996. Also surviving are her daughters, Cindy Head of Kalamazoo, Kimberly Morse of Hamilton and Wendy Prange of Martin; five grandchildren, Ben, Dustin, Jack, Rachel and Cambri; a soon to be born great-grandson, Braxton; three brothers, Bill (Luella) Bromley of Delton, Steve (Barb) Bromley of Lexington, KY and Jim (Sue) Bromley of Hemet, CA and several nieces and nephews. Preceding her in death are her parents. Friends may meet with her family at Winkel Funeral Home, Otsego, MI on Friday, January 3, 2014 from 10am until the time of the funeral at 11am, Pastor Jeff Worden officiating. Burial will follow at Earl Cemetery, Kendall. Contributions in memory of Cathy may be made to the American Diabetes Association. Mr. Vurl Snyder of Otsego, Michigan, passed away Wednesday, December 25, 2013 in Allegan. Mr. Snyder was born December 31, 1938, in Otsego to Gilbert and Minnie (Clear) Snyder. He began his working career as a baker and for many years was employed at Cooper Foundry. His favorite leisure time activity was fishing, especially with his friend, Gene Slater. On July 10, 1963 in Otsego he married the former Judith Wood who died in 1996. Also preceding him in death were a son, Michael, brothers John, Howard, Robert and his twin brother, Murl; and a granddaughter, Sarah. Surviving are four daughters, Georgia (Larry), Katrina (Michael) Harris, both of Otsego, Elizabeth (Bill) of Harrison, MI, Brenda of Plainwell; several grandchildren and great-grandchildren; a brother, Gilbert Snyder of Arkansas; several nieces and nephews. Cremation has taken place. A memorial service and luncheon will be held at 2:00 P.M. Saturday, January 11, 2014, at the Otsego Masonic Temple. Contributions in memory of Vurl may be made to Wings Home of Allegan. 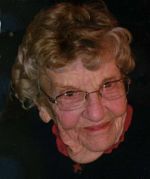 Ruth M. Holmes of Grand Junction, Michigan, passed away at the adult foster care home where she had been lovingly cared for by Mary and Chester Mobly. Ruth was born February 19, 1923 in Otsego to Clifton and Laura (Root) Holmes. From the age of 8 she had suffered from epilepsy and even so she was always happy. She enjoyed weaving. Ruth had a lovely voice, loved to sing and knew many songs. 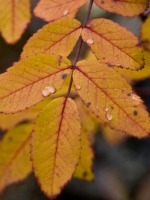 Surviving are two brothers, Tom Holmes of Texas and Jack (Linda) Holmes of Otsego; several nieces and nephews. She was preceded in death by an infant brother, LeRoy; a brother, William Holmes; and her sister, Laura “Sis” Lewis. Cremation has taken place. Burial of ashes will be at Mountain Home Cemetery, Otsego. Contributions in memory of Ruth may be made to the Epilepsy Research Foundation. Lewis Charles Kiser of Kalamazoo passed away Monday, December 16, 2013, at his home. Mr. Kiser was born January 14, 1924 in New Castle, PA to Lewis G. and Marguerite (Knoblock) Kiser. 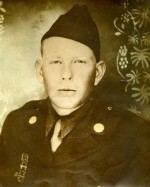 During WWII he served his country in the U.S. Army. Lewis earned his Bachelor Degree in Engineering from Tri-State University in Angola, IN, and taught engineering at Valparaiso University. He was a 30 year resident of Mentor, OH, where he was active in his church, holding several leadership positions and teaching Sunday School. He also served his community in various capacities. Lewis was a life member of the NRA and a member of the American Legion. On August 20, 1971 in Kalamazoo he married Roberta Weimer, who died in 2011.Also preceding him in death were two step-sons, Thomas and Don Masley. Surviving are a daughter and two sons, Kristine Fuller of Italy, Lewis Kent (Carolyn) Kiser of Pine Lake and Robert Kiser, D.O. of Kalamazoo; a step-son, David (Ann) Masley of Kerrville, TX; seven grandchildren; a great-granddaughter; a brother, Floyd (Nancy) Cotton; a brother-in-law, Lloyd Weimer; former wife Marjean (Kent) Kiser of Kalamazoo. Friends may visit with his family from 10:30 A.M. until the time of the service at 11:30 A.M. Friday at the Winkel Funeral Home, Otsego, Fr. Joel Turmo officiating. Burial will follow at Fort Custer National Cemetery, Augusta at 1:30 P.M. 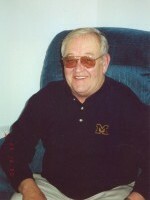 Contributions in memory of Lewis may be made to the Michigan Parkinson’s Foundation or the American Heart Association. Ronald H. Wolthuis passed away Friday, December 13, 2013 in Plainwell. He was born December 20, 1971 in Kalamazoo, the youngest child of Timothy and Katherine (Kiel) Wolthuis. He attended Paw Paw High School for a short time and in 1990 he graduated from Otsego High School where he also received the nickname “Sharky” from his ability to eat people up on the football field. He was a proud member of the 82nd Airborne Rangers and was stationed in Fort Brag, NC. After his honorable discharge from the Army he began driving a cement truck. Ron was a man with a big heart, big personality, and a big smile. His laughter was always recognizable and will live on in our thoughts and memories. Surviving are his children, Nathan, Nicholas and Hope; his brothers Joe and Chris; his nephews Jacob and Kyle; nieces Kendylle and Kaylee; many aunts, uncles, cousins and friends. Friends may visit with Ron’s family Wednesday, December 18, 2013 from 6-8 P.M. at the Winkel Funeral Home Otsego, where a funeral service will be held at 11:00 A.M. Thursday. Burial will follow at Fort Custer National Cemetery in Augusta at 1:00 P.M. Contributions in memory of Ron may be made to the Ron Wolthuis Memorial Fund set up through PNC Bank. David Jarvis of Martin passed away Friday, December 13, 2013, at Wings Home in Allegan. Mr. Jarvis was born July 10, 1938 in Lansing to Richard and Carol (Montgomery) Jarvis. For many years he was a member of, employed by and had been President of the United Food and Commercial Workers Union Local 36, retiring in 1988 at the age of 50. Dave had been successful in business and enjoyed spending weekends at their cottage up north and on his 40 acres. He was also a member of the Otsego Masonic Lodge. In his leisure time Dave loved fishing, and enjoyed telling stories, wood working, yard work, gardening and working puzzles. On March 4, 1978 in Clare, MI he married the former Patricia A. Leigh, who survives. Also surviving are two sons and a daughter, Russell (Eileen) Jarvis, Ronald Jarvis and Carol (Tim) Hildebrand; a step-son, Stuart E. Bridgewater; eight grandkids; two great-grandkids; and several cousins. He was preceded in death by his parents; a granddaughter; and a brother. Cremation has taken place. Friends may visit with his family from 10 to 11 A.M. Monday, December 16, 2013, at the Winkel Funeral Home, Otsego, where a Memorial Service will be held at 11:00 A.M., Pastor Don Graham officiating. Contributions in memory of David may be made to the American Cancer Society. 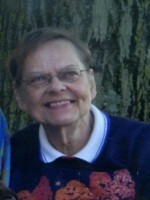 Dorothy Howard of Plainwell, Michigan, passed away Friday, December 13, 2013 at her home in Plainwell. Mrs. Howard was born May 20, 1920, in Kalamazoo to William and Alma (Eberhard) Goodhart. She was a gifted athlete who enjoyed softball, bowling, skiing, ice skating, roller skating and also liked playing cards. Dorothy was a devoted homemaker whose family was the most important thing in her life. She was a member of the Alamo Congregational Church. On April 1, 1943 in Kalamazoo she married Benjamin Howard, who died in 2006. Also preceding her in death were her parents, William and Alma Goodhart and her sister, Edna Mattison. Surviving are four children, Sandra (Dale) Morse, Gwen (Tom) Chapman, David (Sheila) Howard and Ken (Linda) Howard; grandchildren, Jeff (Shirley) Chapman, Wendy (Brian) Bidwell, Dan Chapman, Mike (Melissa) Morse, Scott Morse, Bradley Howard, Joe (Kim) Chapman, Tamara (Peter) Koppers, Mark (Rochelle) Howard, Ben Howard, Jake Howard and Sam Howard; great-grandchildren, Meghan, Benton, Kaitlynn, Kayla, Taylor, Sarah, Ethan, Joshua, Kyle, Josh, Emma, Molly, Makenna and Jordan; several nieces and nephews; and lifelong family friends, the Wetters family. Friends may visit with Dorothy’s family from 3 to 6 P.M. Sunday, December 15, 2013, at the Winkel Funeral Home, Otsego. A funeral service will be held at 11:00 A.M. Monday, December 16, 2013, at the Alamo Congregational Church, Pastor Bill Walker and Pastor Don Boss officiating. Burial will be at Hillside Cemetery, Plainwell, at 2:30 P.M. Monday. In lieu of flowers the family suggests contributions in memory of Dorothy be made to Sandra Morse to be used for toys for needy children, as per Dorothy’s request, or donate a gift to a child through Angel Tree, Toys for Tots or bring a toy to the church. 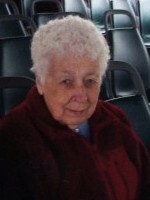 Ruth E. VanLinder of Otsego, MI passed away Tuesday, December 10, 2013 in Watervliet. She was born November 10, 1924 in Amherst, Nebraska to John and Katie (Smith) Oertwig. In 1944 she married Ronald VanLinder and spent 51 years together until his passing in 1995. Ruth enjoyed raising and spending time with her children, reading, taking walks, and her many flower gardens. Surviving are her children, Connie VanLinder of Plainwell, Michael VanLinder of Bonita Springs, Florida, Patricia (Galen) Blough of Watervliet, and Dennis VanLinder of St. Petersburg, Florida; seven grandchildren; three great-granddaughters; one great-great-granddaughter; and several nieces and nephews. Preceding her in death are her parents; her husband; and her siblings, OraMae Young, Naomi McCullough, Richard Oertwig, Deloris Alexander, Walter Oertwig, Bernice Wolfkill, Doris Walters, John Oertwig, Raymond Oertwig, Orville Oertwig, and Juanita McAninch. Cremation has taken place and no public services are scheduled. Burial of ashes will be at Fort Custer National Cemetery at a later date. Those desiring may make memorial contributions to the American Cancer Society. Alice A. Gilbert of Plainwell, passed away December 6, 2013 surrounded by her family at Wings Home in Allegan. Alice was born April 29, 1922 in Clark County, Wisconsin, the daughter of Artus and Mary (Cooper) Channells. On December 28, 1940 she married Edward Gilbert in Wauson, Ohio. Alice was employed at McPherson Dry Cleaners in Plainwell for several years and for over 20 years at Kal-Equip before her retirement. She had spent many summers at Sandy Pines and following retirement she and Ed spent several years in Florida. In her leisure time she enjoyed crocheting, bowling and square dancing. Surviving are her children, Ginny (Ed) Witherell of Plainwell, Sandra (Tony) LoPresto of Martin and Charles (Lou) Gilbert of Otsego; nine grandchildren; 16 great-grandchildren; one great-great-granddaughter; and several nieces and nephews. Preceding her in death are her parents; husband; and siblings, Virginia Lanz, Cecil Channells, and Barbara Black. Cremation has taken place. A Memorial Mass will be held Thursday, December 12, 2013 at 11:00 A.M. at St. Margaret’s Catholic Church in Otsego. Burial of ashes will take place at Fort Custer National Cemetery at a later date. Contributions in memory of Alice may be made to Wings Home or Wings of Hope Hospice.